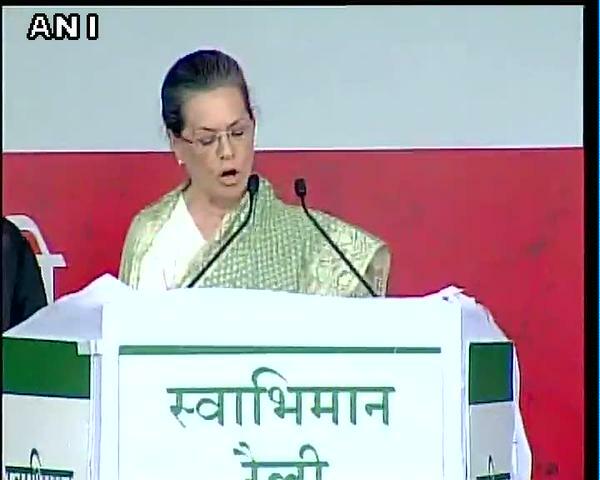 SONIA GANDHI IN BIHAR: DOES SHE UNDERSTAND WHAT SHE IS ASKED TO READ IN ITALIAN HINDI? Per Maneka Gandhi, “It should be noted that Italian-born Sonia Gandhi reads her speeches in Congress rallies. All her Hindi speeches are written by someone in Hindi, we are not sure who writes them. She cannot speak Hindi even after decades of being in India. Also, she sought Indian citizenship only after many years of being in India.” Are these widely discussed in the public media? If not, why not?